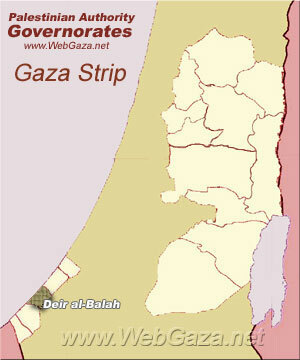 Deir al-Balah Governorate - What is Deir al-Balah Governorate? The Deir el-Balah Governorate is one of 16 Governorates of the Palestinian National Authority in the central Gaza Strip which is administered by the Palestinian National Authority. Its total land area consists of 56 sq. kilometers. According to the Palestinian Central Bureau of Statistics, in mid-year 2006 it had a population of 208,716 inhabitants distributed between eight localities.